Until 3D Touch is more ubiquitous, developers have no reason to make it anything more than an Easter egg. When Apple introduced 3D Touch with the iPhone 6s, I was impressed by what a great job the company did in implementing the feature. The careful detection of forceful presses on the screen, combined with feedback from the Taptic Engine, meant that I could activate 3D Touch when I wanted to, and I’d know when it happened. Unfortunately, after six months of using an iPhone 6s, I’m afraid that I’ve completely stopped using 3D Touch, to the point where I forget it’s there. My opinion about how brilliantly implemented this feature is hasn’t changed a bit, but I feel like Apple needs to rethink the meaning of the 3D Touch in iOS 10 for it to be a more useful feature. I should be clear: I know that some people use 3D Touch, and like it. Those people aren’t monsters. But I’ve also talked to a lot of people who have been, like me, left cold by the feature, abandoning it after the novelty has worn off. This is a cool feature and it should be more useful. One place where I feel like 3D Touch is executed well is the Quick Launch menu that appears on individual apps. This is an entirely new feature that makes the Home screen more useful than ever before. But it’s extremely limited, with just a few options. I’d like for it to be more dynamic. Imagine being able to 3D Touch on the MLB At Bat icon to see your favorite team’s current score and jump straight to audio or video of the game. I’m still disappointed that you can’t 3D Touch on the icons in Control Center; the Camera icon, in particular, would be more useful if it offered the same options as using 3D Touch on the Camera app itself. I’d love to 3D Touch on the Bluetooth and Wi-Fi icons to pick networks or devices to connect to or disconnect from. It also seems strange that so few other contexts in the system offer extra options via 3D Touch. If I 3D Touch my phone’s wallpaper, wouldn’t it make sense to offer me a quick link to the Wallpaper section of the Settings app? 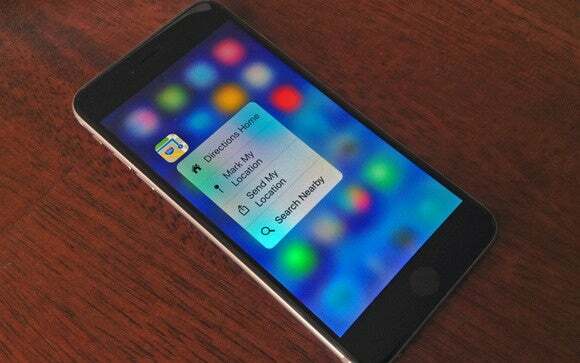 Could Notification Center be improved by 3D Touch interaction? This is, I realize, One of the reasons I stopped using 3D Touch so much. It seemed like so many places I attempted to use the gesture resulted in a whole lot of nothing. After a while, I gave up. 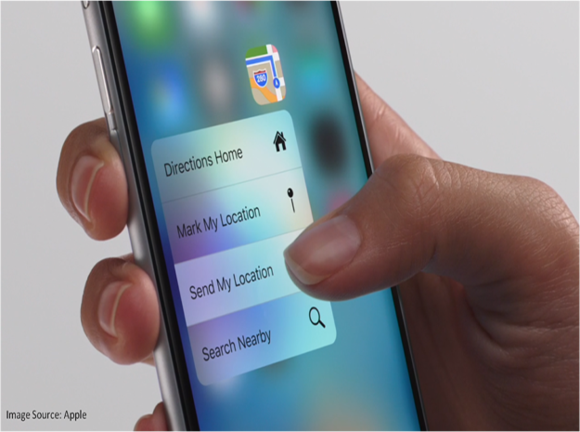 3D Touch needs to be pervasive. It needs to be a gesture that works all over the place, so that using it becomes second nature. Although Apple’s proud of the peek/pop interface that it unveiled with the iPhone 6s, I’m skeptical of its utility. Most of the time, when I accidentally initiate a “peek” of the content behind whatever I’m pressing on, it’s content I was already trying to see by tapping. Loading a “peek” doesn’t really take any more time than actually tapping on an item and loading the result, and returning back to the previous screen seems a lot less work than holding your finger on the glass while you peruse a “peek” to see if it’s worth opening the rest of the way. In other words, most of the time I don’t see any benefit to using 3D Touch to reveal content in apps over just tapping to reveal that content the usual way. It’s a solution to a problem we didn’t have. And this says a lot about the problem with the way Apple has deployed 3D Touch in iOS. 3D Touch is only on the iPhone 6s and iPhone 6s Plus models, so app developers (including Apple) can’t count on it being there. As a result, apps are designed so that the most common tasks users want to perform are the easiest ones to perform. Tapping on content to view it, then tapping or swiping to get back where you were before, is the most common gesture on almost every app I use. We’ve perfected it! 3D Touch adds little or no value to that function. But as long as app developers can’t count on 3D Touch being available everywhere, they are right to not use the feature as anything but an Easter egg, and focus on features that 100 percent of their users can access. That’s why the right thing for Apple to do is to change the behavior of 3D Touch in a future version of iOS so that it has a non–3D-Touch equivalent. In other words, 3D Touch should just be a faster, more efficient version of a gesture that every iOS user can perform. That way, users of devices with 3D Touch will get a benefit, but app developers don’t have to think about implementing a feature that won’t work with most devices. The logical gesture to use is the long press, a gesture that’s common on Android but used a lot less frequently on iOS. When you tap and hold your finger on the screen for a long time? That’s a long press. It’s the one most commonly used to enter “wiggly app” mode on your home screen. It’s the perfect gesture for declaring you want more information about whatever you’re touching on the screen–the iOS equivalent of a control-click. If Apple declared that a 3D Touch was the moral equivalent of a long press, it would have to make some adjustments to the iOS interface (including changing how we reorder app icons), but in the end I think we’d have a more cohesive set of common iOS gestures. 3D Touch users would benefit by not having to wait for the OS to pause and see if you intended to long-press an item, but users of non–3D-Touch devices wouldn’t be left out of the party. Right now, on both iOS and the Mac, Apple has introduced clever force-sensitive technology that gives us the ability to interact with our devices in new ways. This new technology is a triumph of hardware and software that’s largely wasted in service of weird, optional features. 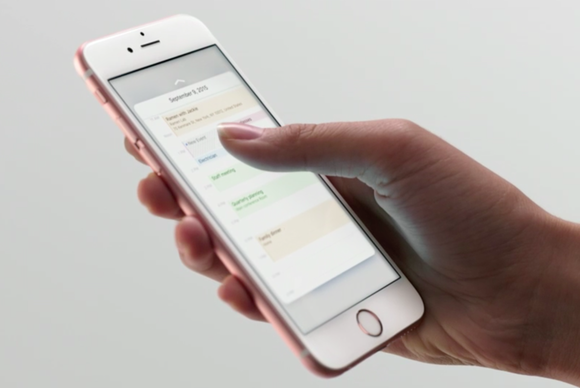 3D Touch and Force Touch need to be removed from the periphery and brought front and center.